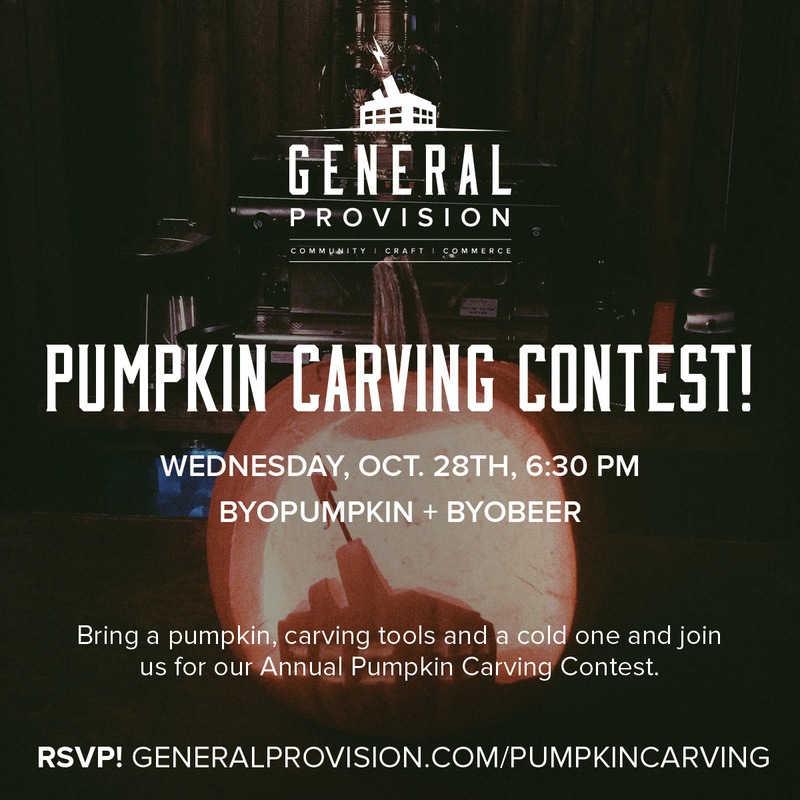 General Provision is hosting it’s second annual pumpkin carving contest open to our members and the community. 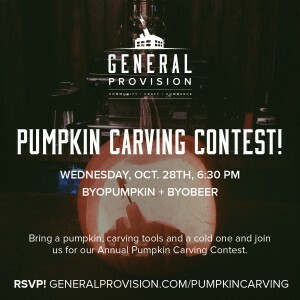 Bring a pumpkin, carving kit, and a cold one! GP will have tables, newspaper and a variety of drinks, snacks, and prizes on hand! Join us Wednesday, October 28th at 6:30pm. Click below to RSVP today! Previous PostArt Fallout + Art Walk at GPNext PostGP Unveils New Space!